Dana-Farber and the Jimmy Fund have partnered with the B.A.A. in the Half Marathon for 13 years as the race’s presenting sponsor. Through this relationship, team members have collectively raised more than $5 million to support groundbreaking cancer research, and enabled Dana-Farber scientists and clinicians to positively impact the lives of cancer patients around the world. Dana-Farber runners often participate in honor or memory of a family member, friend, or colleague who has been touched by cancer. There are also many inspiring teammates who have been diagnosed themselves, and choose to run as a way to take physical action in the fight against cancer. Dana-Farber patients and their families also take part to provide incredible inspiration, and motivate runners to race toward the ultimate finish line: a world without cancer. Daniel Salel earns three-peat, while Joan Chelimo runs away with title at 17th annual B.A.A. Half Marathon, presented by Dana-Farber Cancer Institute and the Jimmy Fund. Boston, MA -- Kenyans Daniel Salel and Joan Chelimo swept the top spots at today’s 17th annual B.A.A. 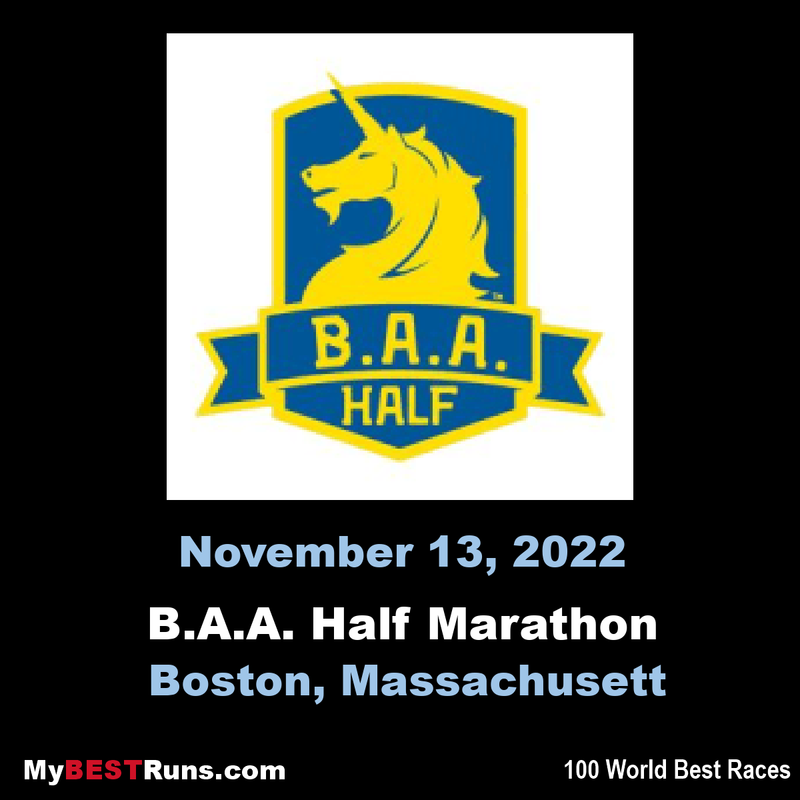 Half Marathon, presented by Dana-Farber Cancer Institute and the Jimmy Fund. Salel completed the three-peat, running away from a large lead pack in the final two miles before breaking the tape in 1:04:31. Calling Boston her lucky city, Chelimo returned to the Bay State and earned a commanding victory in 1:10:31. The B.A.A. Half Marathon begins and ends at White Stadium in Boston’s Franklin Park. The park, one of the oldest in America, is located in Boston’s Jamaica Plain and Dorchester neighborhoods. 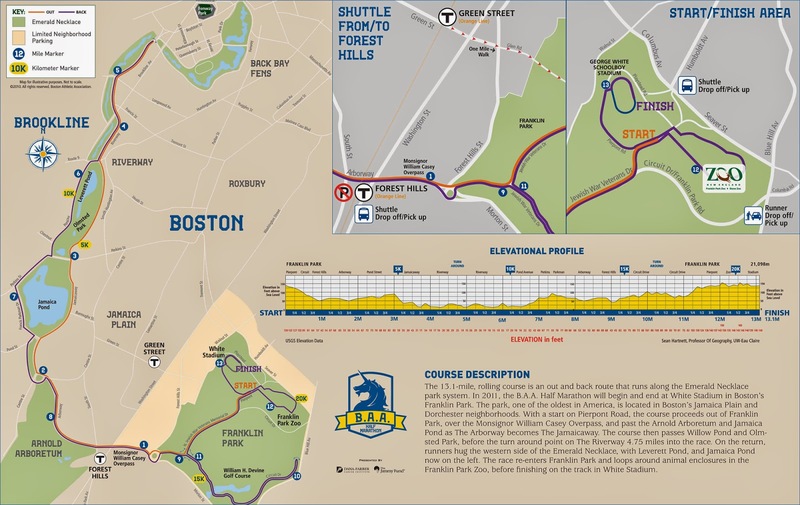 With a start on Pierpont Road, the course proceeds out of Franklin Park, along New Washington Street and Forest Hills Drive, and past both the Arnold Arboretum and Jamaica Pond as The Arborway becomes The Jamaicaway. The course then passes Willow Pond and Olmsted Park, before the turn around point on The Riverway 4.75 miles into the race. On the return, runners hug the western side of the Emerald Necklace, with Leverett Pond, and Jamaica Pond now on the left. The race re-enters Franklin Park and loops around animal enclosures in the Franklin Park Zoo, before finishing on the track in White Stadium.